Lock in a great price for The Rising Sun – rated 8.9 by recent guests! The bed was like a cloud! Breakfast was sensational- even Stornoway black pudding! Exceptional staff/cleanliness and modern place. Stayed in 2 other similar pub/restaurant/accommodation within a mile or so and this was far the best. Do not spend time looking anywhere else. We stayed for two nights in rooms 2 & 3. Room 2 was a little larger and at the back away from the road. Both were very comfortable and would not hesitate to book again in the future. Comfortable beds for a good nights sleep in well spect room. Breakfast was delicious and the staff were really friendly and helpful. They catered for me to store my bikes with no problems too. The Rising Sun was a beautiful Inn and I could not have asked for a better place to stay on my birthday. 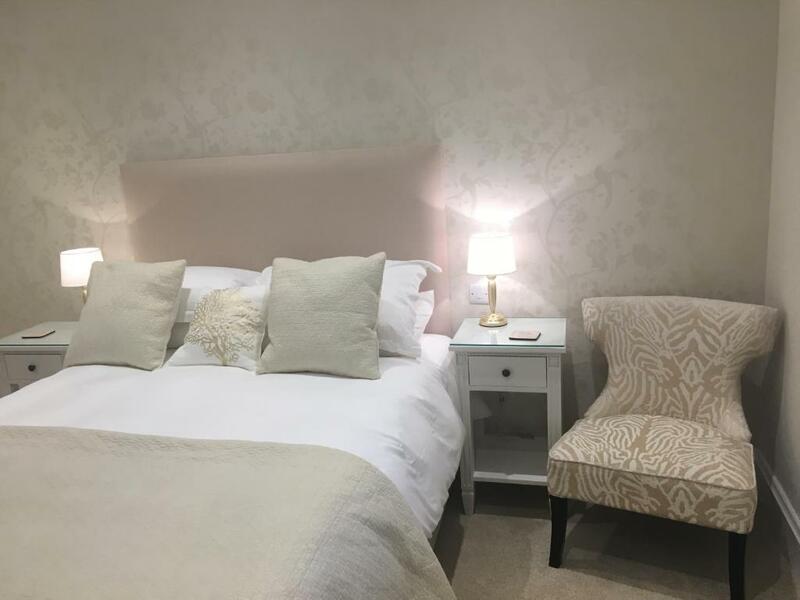 The rooms were beautiful and always clean and comfortable, every single member of staff were very kind, friendly and helpful. The food was absolutely delicious every morning. No faults whatsoever, the perfect place for a romantic getaway. The Rising Sun This rating is a reflection of how the property compares to the industry standard when it comes to price, facilities and services available. It's based on a self-evaluation by the property. Use this rating to help choose your stay! Located less than 20 minutes' drive from Bristol, The Rising Sun offers free WiFi access and free private parking for all guests. From the property, Bristol Airport is just 4.2 miles away and Cheddar Gorge is a 28-minute drive. There is an on-site bar and restaurant. The rooms all have a flat-screen TV, a private bathroom, bathrobes, slippers and free toiletries. Other facilities include a work desk and an iron and ironing board. Each morning, the restaurant serves either a continental breakfast, a full English breakfast or a vegetarian breakfast. In the evenings, a menu offering a range of dishes is served using fresh, local produce. Ashton Court Mansion is 7 miles from The Rising Sun Backwell, while Bristol Zoo Gardens is 8.3 miles away. When would you like to stay at The Rising Sun? This room includes tea/coffee making facilities, a TV with Freeview channels and free Wi-Fi. Each bathroom features a shower and a separate bath, bath robes and slippers. Other facilities include a work desk and ironing facilities. This room includes tea/coffee making facilities and free Wi-Fi. Each bathroom features a shower and a separate bath, bath robes and slippers. Other facilities include a work desk and ironing facilities. House Rules The Rising Sun takes special requests – add in the next step! The Rising Sun accepts these cards and reserves the right to temporarily hold an amount prior to arrival. The paint in the room could have done with a new coat as it was flaking off in places and marked as well. Also quite loud in the corridor of the room section of the pub. Returning late meant having to enter round the back of the property in darkness. Staff were very friendly and helpful. Room was lovely. The staff were very accommodating and helpful. We stayed in room 4 and my wife had to wash the scum line with small hairs attached around the bath before she used it. The bathroom that wasent finished no shower door so floor flooded and only a bare ply bath panel and plug that was broken so didn’t work properly and the broken chairs in the restaurant that had a nail sticking out and ripped my stocking and 3 chairs later they were all broken so rocked ! Was quite loud late into the night. Walls were thin, could hear residents in neighbouring rooms. The food was good, bed was comfy and bathroom was clean. Would not change a thing at all. Photos are out dated , room didn't look much like in photos. Rooms and pub needs refurbishment as it looks tired. Cracks in ceiling in the room and all over first floor. Need much better sound isolation. You can hear what's going on in the pub from the room. If you're light sleeper don't expect to get a good night sleep before 00:00. Overall pub and rooms need to have refurbishment. Staff in hotel was very friendly and welcoming. My friend is disabled and was a bit worried about slipping in the shower, perhaps a shower mat could be made available. Also us older ladies would very much like to see a magnified mirror to aid with our makeup! The staff were excellent, friendly, helpful and knowledgeable. The rooms were luxurious and beautifully furnished. Also well equipped, it was great to see that a proper hair dryer and iron/ironing board were provided. The food was delicious and plentiful. All in all we really enjoyed our stay at The Rising Sun. The room was spotlessly clean and it had the comfiest bed and pillows I have ever slept in. All staff were extremely friendly and helpful.